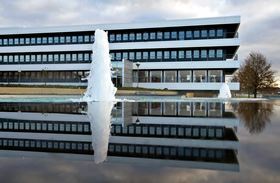 Grundfos headquarters in Bjerringbro, Denmark. Grundfos delivered a 4.2% increase in 2018 net turnover to reach a record DKK26.7 billion. Organic sales growth was 6.6%, the highest rate since the end of the financial crisis almost 10 years ago. The Danish company’s 2018 earnings before interest and tax (EBIT) were DKK53 million higher at DKK2400 million, while profit after tax grew DKK7 million to DKK1762 million. “It has been another strong year for Grundfos, where we have gained global market share,” said Mads Nipper, CEO and group president of Grundfos. Sales increased in important markets including China, the US and Western Europe and the global service business contributed significantly to the company’s organic growth. “Despite growth in EBIT, however, our profitability ended slightly below our own expectations, due to investments in growth, increasing material prices, and negative currency developments,” added Nipper. Nipper said that Grundfos has seen continued strong traction on its strategic initiatives especially within digitalization and service. Grundfos has appointed Hideo Shirakawa as area managing director (AMD) of Grundfos East Asia.